While many saw the Hanging Gardens of Babylon as a legend, research shows that it may have actually existed, just not where originally thought. 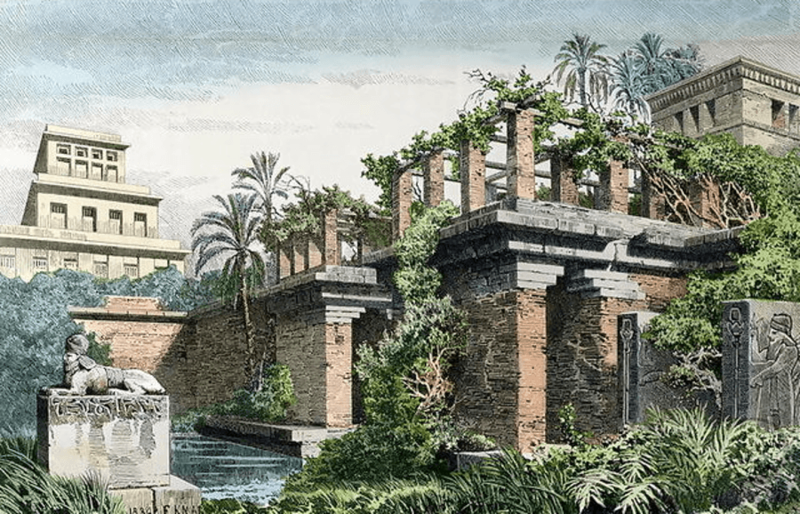 Wikimedia CommonsAn artist’s rendering of the Hanging Gardens of Babylon. Imagine yourself traveling through a scorching-hot desert in the Middle East. Like a shimmering mirage rising from the sandy floor, you see a visage of lush vegetation cascading over columns and terraces as high as 75 feet. Verdant plants and flowers wind around stone monoliths. You can smell the aromas of exotic flowers hitting your nostrils as you approach the area downwind of the oasis. You reach the Hanging Gardens of Babylon, built in the sixth century B.C. by King Nebuchadnezzar II. The king’s wife, Amytis, missed her homeland of Media that sat in the northwestern part of modern-day Iran. As a gift to his homesick love, the king supposedly built an elaborate garden to give his wife a memory of home. He constructed a series of waterways to serve as an irrigation system. Water from a nearby river was raised high above the gardens to cascade downward. The engineering behind the marvel is the reason why historians consider The Hanging Gardens of Babylon one of the Seven Wonders of the Ancient World. Ancient Greek historians wrote down what they believed the gardens looked like with Berossus of Chaldea, a priest who lived in the late fourth century B.C., giving the oldest-known written account of the hanging gardens. Wikimedia Commons Hanging Gardens of Babylon by Ferdinand Knab, painted in 1886. The descriptions of Greek relied on second-hand information passed down from generations after the gardens were destroyed. Alexander the Great’s army went to Babylon and reported seeing the gardens, but his soldiers were prone to exaggeration. The technology behind the irrigation system, a huge screw similar to the one created by Archimedes, would not see widespread use until four centuries later. 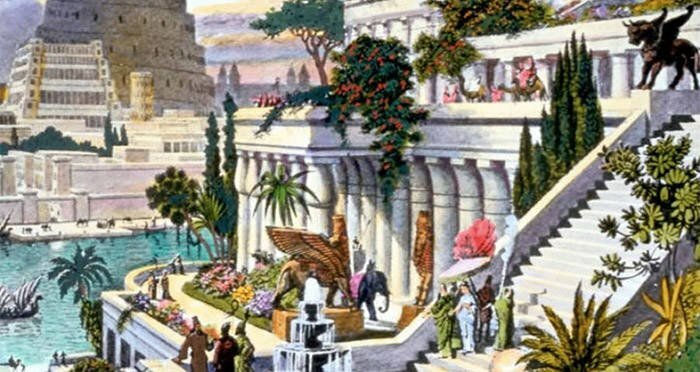 A lack of physical evidence, coupled with no existing firsthand accounts, lead many scholars to believe that the fabled Hanging Gardens of Babylon never even existed. Then, research in 2013 led to possible answer. Dr. Stephanie Dalley of Oxford University believes that scholars and ancient historians simply got their locations and kings mixed up. Dalley, one of the world’s foremost experts on Mesopotamian civilizations, uncovered updated translations of ancient texts. She believes that King Sennacherib, not Nebuchadnezzar II, built the hanging gardens. The gardens were in Nineveh, near the current-day city of Mosul, Iraq. This changes the location of the hanging gardens from Babylon to Assyria. King Sennacherib added to the confusion because he called Nineveh by the name of New Babylonia. 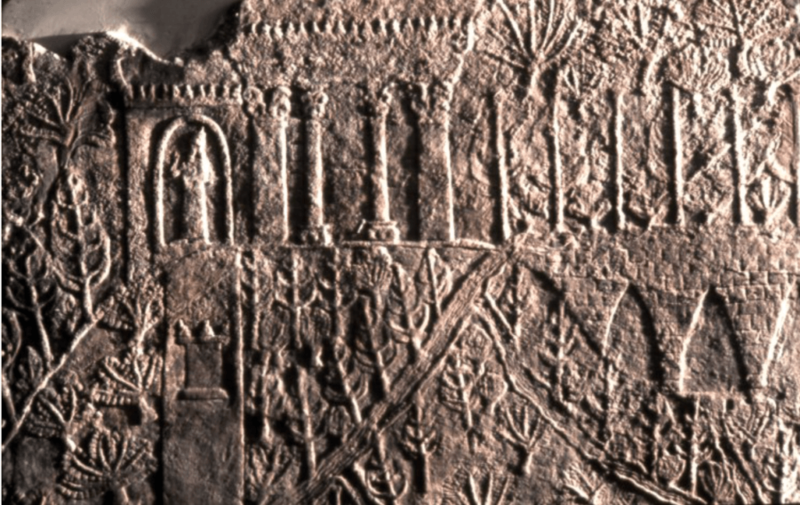 Wikimedia CommonsThe Hanging Gardens of Nineveh, as shown on an ancient clay tablet. Notice the aqueduct on the right side and the columns in the upper-middle portion. Excavations near Mosul also back up Dalley’s claims. Archaeologists uncovered evidence of a huge bronze screw that would have moved water from the Euphrates River into the gardens. They also discovered an inscription that said the screw delivered water to the city. Bas-relief carvings near the site depict lush gardens supplied by an aqueduct. The hilly terrain surrounding Mosul was more likely to receive water from an aqueduct versus the flatlands of Babylon. Dalley further explained that the Assyrians conquered Babylon in 689 B.C. That was before the time of the construction of the Hanging Gardens of Babylon. Therefore, Ancient Greek historians simply got their locations wrong. Excavations in the 20th century focused on the ancient city of Babylonia and not Nineveh. Those miscalculations are what led archaeologists to doubt the existence of the ancient wonder in the first place. As scientists dig deeper into Nineveh, they may yet find more evidence of these vast gardens. The excavation site near Mosul sits on a terraced hill, just as Greek historians described in their accounts. As to what the hanging gardens really looked like, no first-hand accounts currently exist. Until archaeologists find an ancient text describing the gardens, consider visiting your local botanical garden or greenhouse to walk among lush landscapes and carefully pruned shrubs. Then close your eyes and think traveling 2,500 years into the past to the time of ancient kings and conquerors. 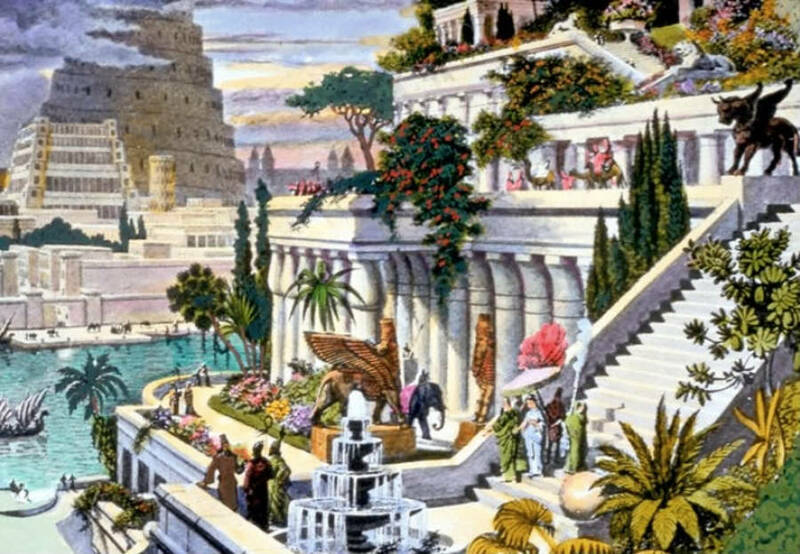 Enjoy this look at the Hanging Gardens Of Babylon? Next, read about The Colossus Of Rhodes and what happened to the massive ancient wonder. Then learn about the other wonders of the ancient world.